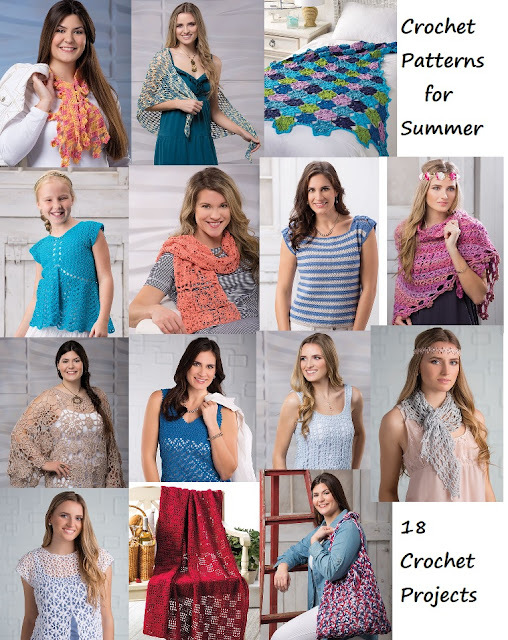 Summer crochet patterns are filled with lightweight projects that are easy to crochet while you sit outdoors and enjoy the summer breeze. 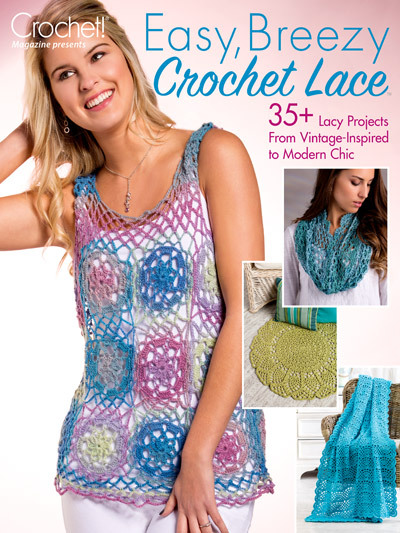 We all know that yarn can get warm on your lap while your crochet that's why these 18 crochet patterns that you can download and start crocheting right now are perfect to crochet, wear, and use all summer long! Crochet a tank top, a summer shawl, a lightweight afghan, a carry along tote bag, a summer scarf, a summer tee and many other projects to crochet. You can easily fill your summer wardrobe with a boating tee, Blissful Blooms top and the Blue Diamonds Tank (with instructions for sizes up to 2XL!) 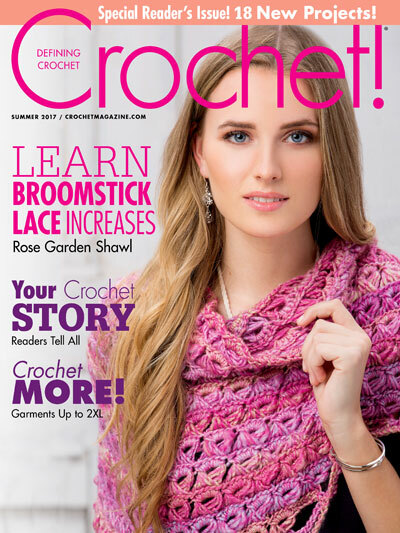 The other patterns include Go Everywhere Tote, the Sail Sarong and the Sheer Southern Style Sun Hat, a Rose Garden Shawl puts your new broomstick lace crochet skills to work as described in the Learn It! Do It! article. You won’t want to miss these nautical and Americana inspired projects, perfect to make and enjoy during the summertime.